You know those times when you get slightly tipsy and declare your undying love for someone – well I thought it was about time I did that for the fells. Let me paint you a picture, I am currently sat in a London hotel room doing what I need to do to fund my writing habit (steady – NOT that – I deliver training courses, usually to solicitors) and I’ve had a glass of two of wine. 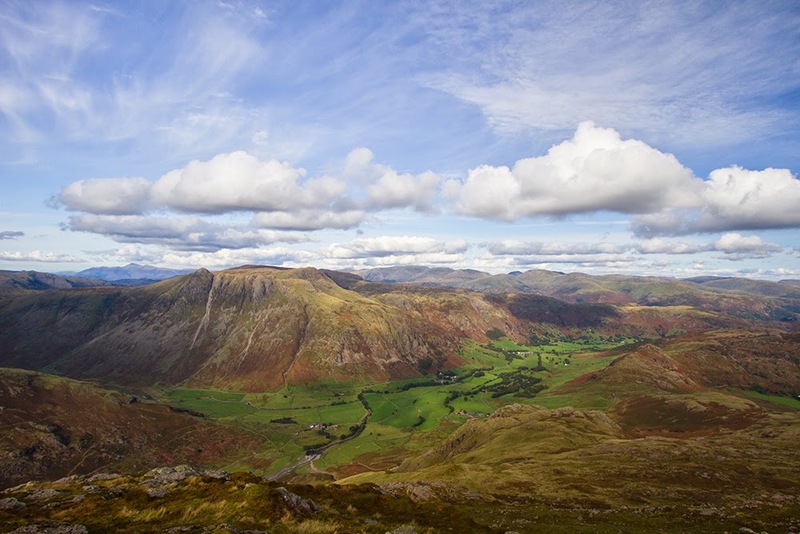 I enjoy my job, I really do – but while my body may be in London for a couple of days, my heart is in the fells. 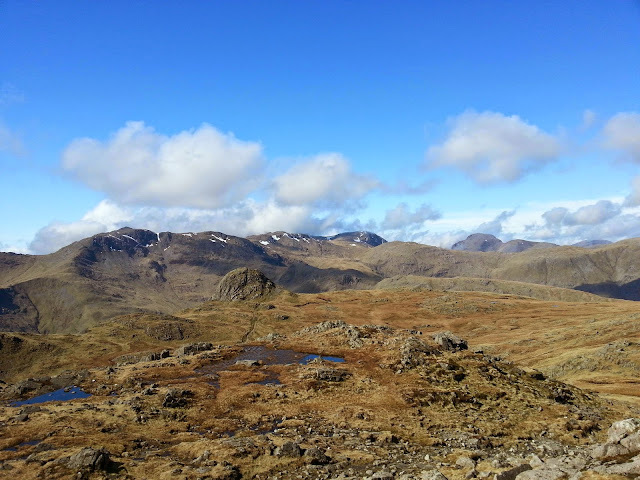 24 hours or so ago I was sat on top of Harrison Stickle eating my lunch in the sun and trying to articulate to a very good friend how much I loved the fells. I failed. I am, after all, a humble blog and walk writer and not a poet or a painter. But, to be fair, I have yet to read a poem or see a photo or a painting that can truly convey my love for Cumbria. It’s like trying to explain the love I feel for my husband. I love him. I just do and I can’t explain it any more than that. Of course I want to clatter him sometimes (as I’m sure he wishes to clatter me!) and, in the same way, there are many times that I shout at the fells but I love them. With every fibre of my being I love them. There is an emotion there that runs deeper than any words or pictures will ever convey. And, if I am honest, there is also a deep, deep jealousy. I know I am not the only person to love them and I am completely torn – I want to both share them with the world so they can see how amazing they are and, at the same time, not tell anyone else about them so I can keep them all to myself – does that make any sense at all?! If you know me and/ or the fells perhaps you’ll understand and, if you don’t, you’ll most likely think I’m a little crazy (and perhaps you wouldn’t be too far wide of the mark!). Without a shadow of a doubt there is nowhere on this earth that I would rather be than far away from the crowds, in Cumbria, in the company of someone I love. If someone who loved the city asked me to articulate why I loved the fells so much I would have no more chance of trying to explain it to them than I would trying to smell the colour purple. There is something deep within my DNA that is simply drawn there. I felt it the first time I visited just a few years ago and I feel it now stronger than ever. But whereas I don’t know what the future may hold for me and my lovely husband, I do know that whenever I am hauled kicking and screaming from this mortal coil, the fells will still be there and, hopefully, people will still be falling in love with them as I have. 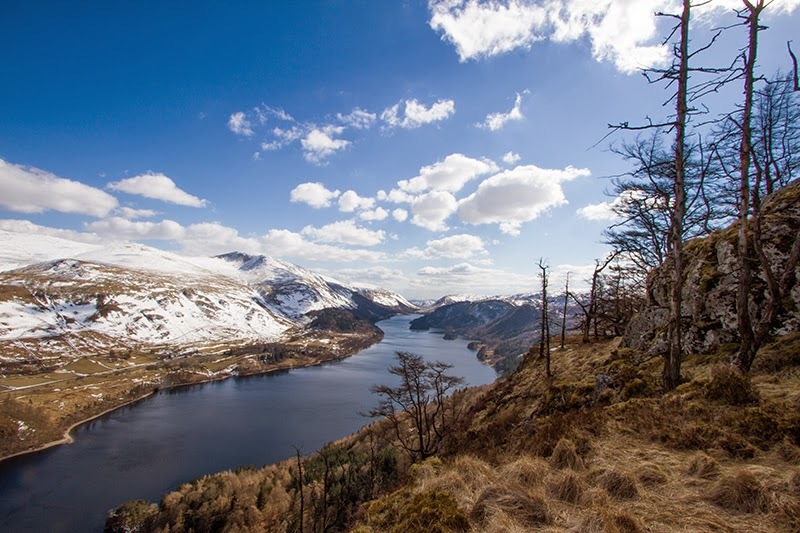 The Lake District National Park has teamed up with a major corporate sponsor in a deal believed to be the first of its kind anywhere in the world. Global giant Virgin has agreed to make a substantial investment in Cumbria and they have a lot of exciting ideas to help the region assert its claim to be the "adventure capital of England". First up they plan to produce their own definitive walking guides and change the sport of "Wainwright bagging" into "Virgin bagging". As an incentive to encourage more people to get outdoors and join in Virgin will be rewarding every hiker who can demonstrate they've climbed all 214 summits with a free "I've bagged 214 Virgins" T shirt. They also plan to invest in updating a number of the lakes themselves in an attempt to draw in more people. Low Water, just below the summit of The Old Man of Coniston, will be heated and turned into an "outdoor adventure pool" complete with a waterslide running directly from the summit. Stickle Tarn will become a giant jacuzzi with a drinks service available from The Sticklbarn pub in the valley below and to improve access for visitors with mobility issues a stair lift will be installed running from the pub directly to the tarn. Another fell to benefit from the new "rapid descent" concept will be Fleetwith Pike. Richard Branson has made several secret visits to the area and, like many people, found the descent along Fleetwith Edge "long and bit tedious in places - nice views though" so he's decided to install a zipwire running from the summit of the fell to the back of the Bridge Hotel in Buttermere. Virgin also plan to make the fells a safer place by installing giant inflatable tubes, emblazoned with the Virgin logo, on either side of accident blackspots such as Striding Edge and Sharp Edge. Lake District Mountain Rescue gave the idea a cautious welcome: "Anything to improve the safety of walkers is, of course, welcome", they said "but we just wish they'd paint them green so they blend in better with the landscape." Friends of the Lake District have been surprisingly positive about the deal with a spokesman quoted as saying "Hell yeah, why not? This place could do with livening up a bit." And finally, whereas many sponsorship deals have required a complete change of venue name to satisfy the sponsors, Virgin are making only one name change to one lake - Bassenthwaite Lake will, in future, be known as Bransonthwaite Lake. Soon to be "Bransonthwaite Lake"
All those wishing to make their views on this announcement known can do so by contacting the Lake District National Parks Authority no later than midday on Tuesday 1st April 2014 or by emailing afool@novirginsincumbria.gov.uk.